Number 22 has always been my number. It is the number of grandchildren that my grandparents have. It is the number that I am in the family line. It is the number of horse shows that I won before my life changing accident. It is the number of women that my great-great-great-great-grandmother, Diana, the goddess of the hunt, takes in per year. It is the number of women that we trained per year. 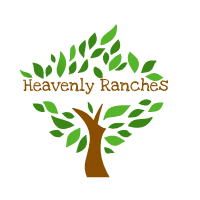 The name is Emily Jackson and I’m the 22nd in line to own Heavenly Ranches. Most people would say that my family are mutts because our family background is a mixture of Italian, Austrian, German, Irish, and an assortment of other nationalities. But what we are is legacies. Legacies are children or relatives of demigods, like my great-great-grandfather, Anton Jackson. We are legacies of Diana, the goddess of the hunt. Yes, she is a maiden goddess but that doesn’t mean she can adopt. Diana did adopt back in 1863 when her twin brother, Apollo, and her found a male newborn on the doorsteps of the Vienna Riding School in Austria and brought him to Olympus. She raised him to be the perfect gentleman. His grandfather, the king of the gods, Jupiter, got him a Marwari when he became of age. The beast was winged and light grey. Anton named the Mawari, Pegasus. The famous pegasus, who is the son of Neptune and Medusa, is my great-great-grandfather’s steed. Diana ordered her son to follow her ‘hunt’, a group of maidens. Generations of Gods, Goddesses, and their descendants have been breeding American Quarter Horses or American Paint Horses for forty-eight years and Marwaris for thousands of years before the American Quarter & Paint Horses were discovered. I am the only natural horseman like the Sea God, Neptune, my uncle, in my whole family. Even my most famous cousin, Heracles, who had to face the most dangerous monsters during his mortal life, doesn’t have the skills that I have with the horses and he has been riding for a very long time since the gods created Heavenly Ranches. Although the gods are the owners of Heavenly Ranches, they let their children or descendents build each branch. Like Romlous and Remus founded the Italy branch. Alexander the Great is even a part of Heavenly Ranches. We don’t know which branch he is at because Grandpa Anton hasn’t heard from him in a century. Each branch has a shield. To the outside world, we are just Equestrian Centers but when you come into an equestrian center that is owned by Heavenly Ranches, you will be in for a surprise. We have underwater stables for our hippocampus stallion, Rainbow, who is a 9th century Marwari. We have unicorns, Pegasi, man-eating horses, fire-breathing horses, eight-legged horses, eight-headed horses, zombie horses and the list goes on and on. We have ghosts, vampires, werewolves, mummies, even the grim reaper as riders. We might be weird inside but mortals can’t see the oddlings of each equestrian center. To mortals, our horses are regular horses but they can see the ghost riders that we have but we don’t care. lar horses but they can see the ghost riders that we have but we don’t care.